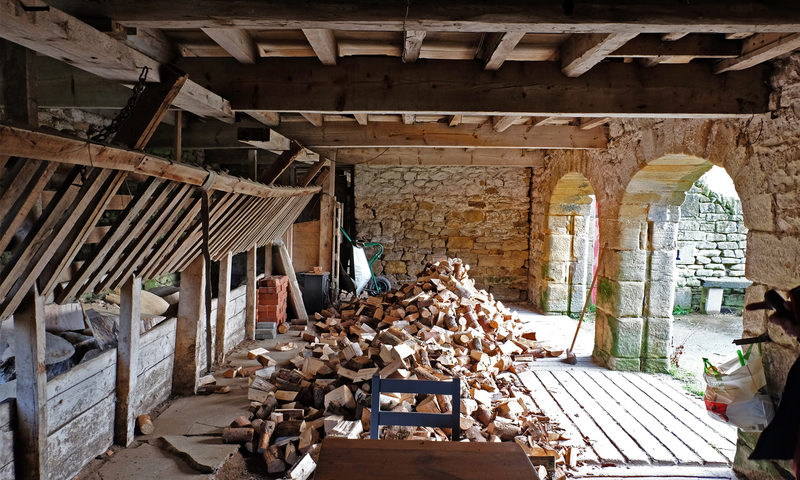 These are photos of the beautiful existing interior of the Grade II Listed Barn near Belsay which we have been asked to sensitively convert into a new family home. The floor is a patchwork quilt of grooved concrete floor, featuring drainage channels and mucking out gulley. We intend to replace the original non-insulated floor with a super insulated floor made of limecrete. 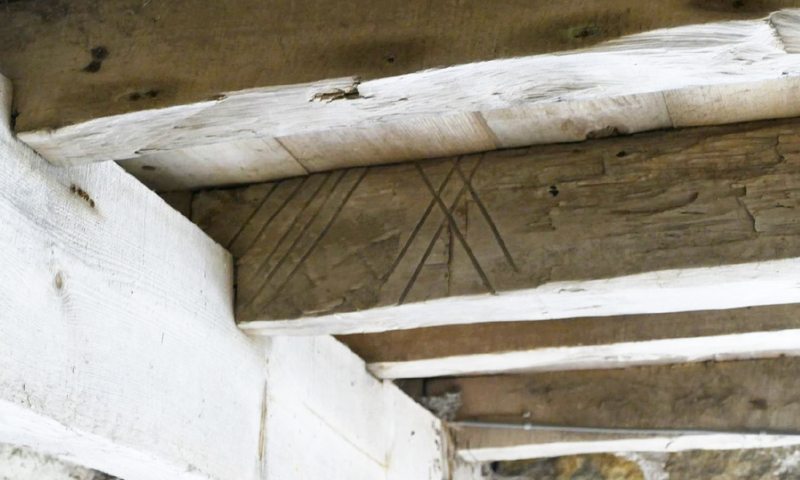 The limecrete will be scored subtly, referencing the previous concrete markings. 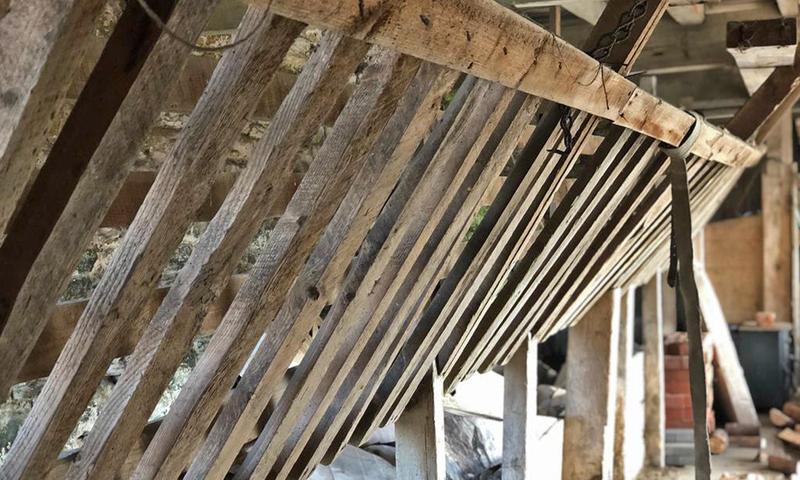 Limecrete is air permeable, helping to maintain the existing fabric of the barn by allowing it to breathe and ventilate naturally. 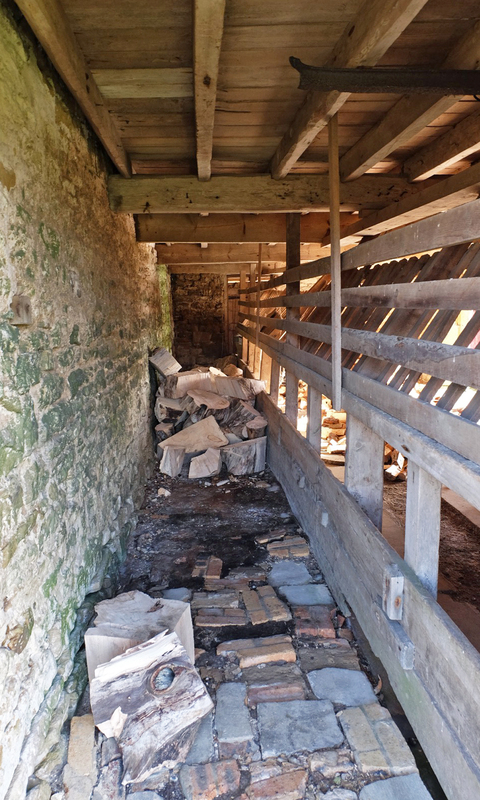 Along the rear wall is a metre deep feeding passage, made up of strong oak cattle feeders. 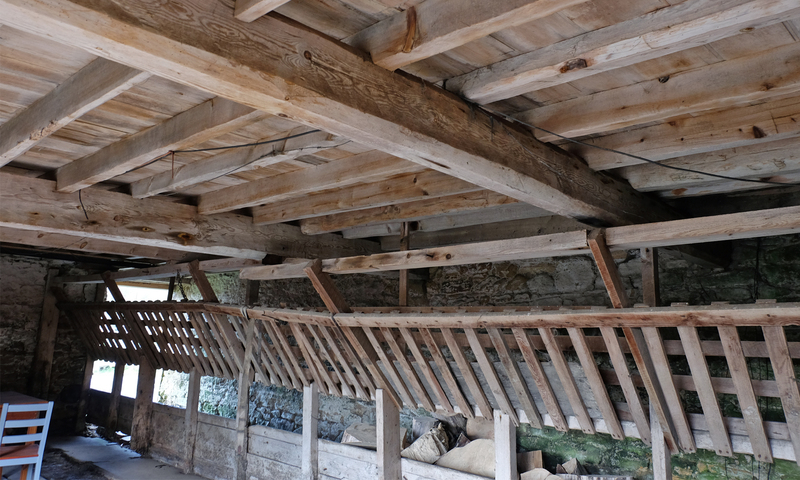 These will be dismantled, carefully rebuilt and repositioned hard up against the rear wall. 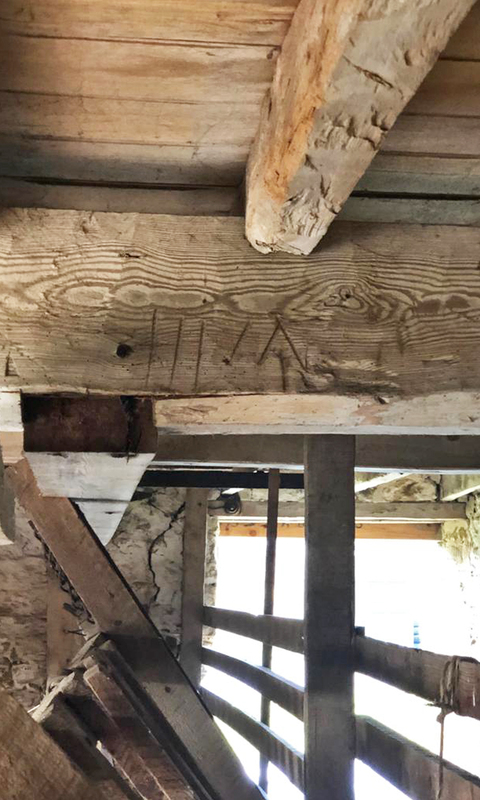 The ceiling is made up of sawn oak joists and heavy weight beams which are marked with late 18th Century Baltic scribe marks. 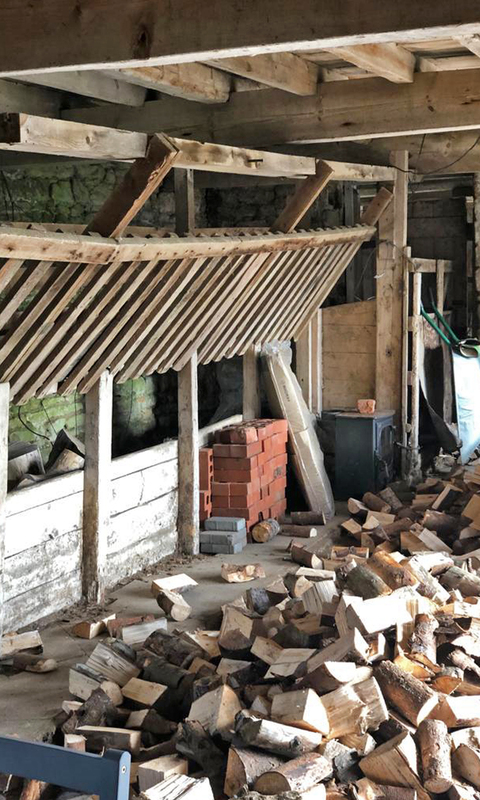 We will be constructing a new independent first floor structure above the existing, leaving the original ceiling untouched to be viewed and enjoyed by the future inhabitants.